That's right got another final table just now in a 2.20$ Power Turbo but lost some big hands against some luck boxes but still managed to score 23.15$ for this effort and more BR to work with. Played pretty flawlessly again until some unforeseen circumstances (Power Outage Switching to Mobile issues) happened and i lost concentration for a bit. 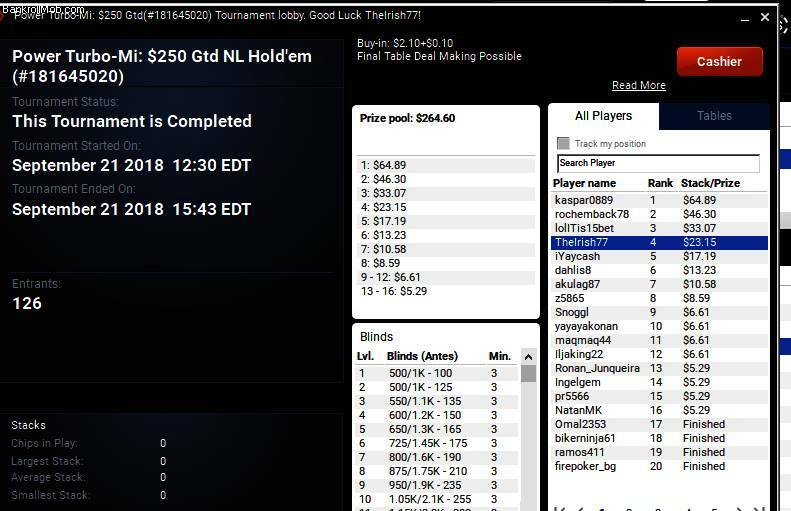 Congratulations, TheIrish77, on finishing the $2.20 buy-in $250 guaranteed no-limit hold'em tournament in fourth place and winning $23.15. This achievement comes as no surprise to any of us who are acquainted with your dedication to the game of poker. Not only the experience but the money also.It was a good result and pay out after all. Congratulations again and better luck on your next games. Congratultions TheIrish 77!!! Final tables in MTT are always a great anchievement!! May be you can give us some advice for MTT. Do you play tight or loose in initial rounds? What about in the bubble? Congratulations Irish! I've been out of the forums for a while, but I see that something has not changed! 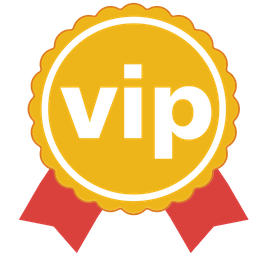 Your good runs in poker tournaments !. The important thing is to reach those final tables. Maybe you still have to improve certain details to achieve the 1st place, but you keep adding experience and money! When you play patiently, and true to your style, the results come. Greetings and hopefully reappear in the forums with new good results! Thanks Tony! Bene running well but just can't get over the hump and score something bigger. Hopefully that'll change. Thanks Mober for always chiming in on my threads and continued support mate! Some advice would be to watch a lot of poker videos and play a lot of hands bud. Also stop being so tight early on in MTT's. It's one of the most infuriating things to see people just fold and fold and wait for big hands. Just get in there as often as possible early on when Blinds are so small and you'll see the amount of hands you'll make. I really just play tonnes of hands and and due to that make hands much more often and it usually hides what you're starting hand. Hope that helps and thanks for the kind words.